Let’s start our discussion with one of the main concerns of any story adaptation – how true is the film to the source material? Well, both the story and the film refer to the Spanish Inquisition (though that event occurred before the time period in which the film was set), and both do contain a pit and a pendulum somewhere along the line, but that’s about where the similarity ends. It’s a shame, as the original story, awash in the mystery of anonymity and uncertainty, is a truly horrifying experience. He cautiously sets out to survey his surroundings, but all is blackness and emptiness. He tears off a piece of his robe’s rough cloth and places it on the floor before measuring his steps away from it. He manages to get 52 paces before the moist and slippery floor, as well as his weakness, overcomes him. When he awakes, he takes 48 more paces before returning to the piece of his robe, completing what he believes are the 50 yards around the perimeter but, when he’s able to see the room later, turn out to be much fewer. 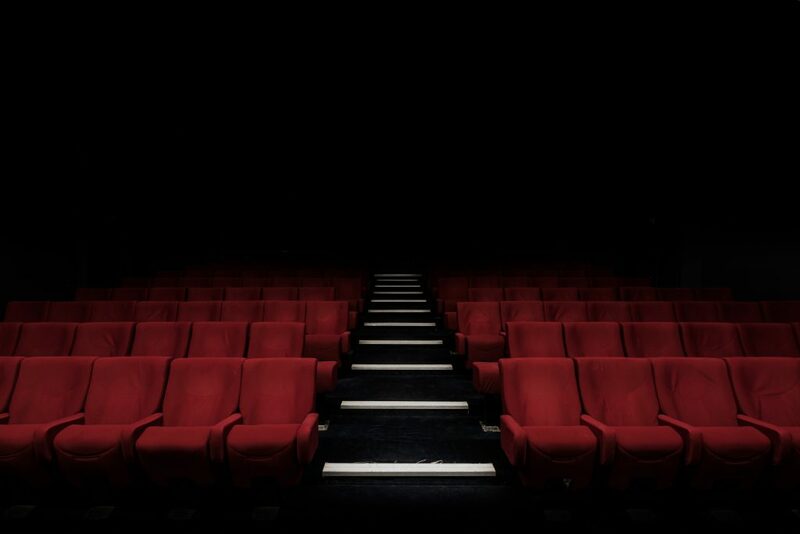 Pick up the book or go to a dark cinema. 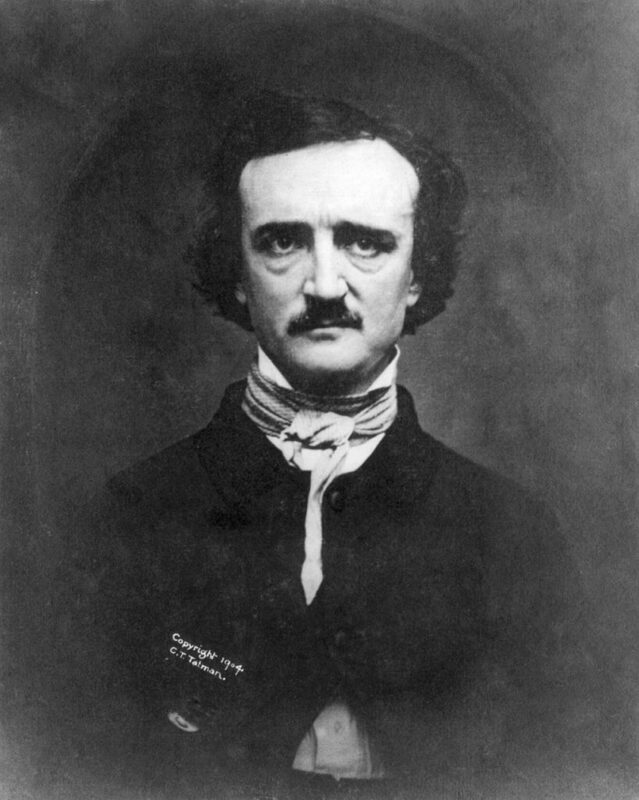 That would have been an incredible ending, but Poe felt, as far too many writers do, that he needed to add just one more thing. In this case, the French army storms the prison and rescues all the prisoners from the Inquisition. Story over. After all the horror, all the despair, a sudden happy ending? As a reader, I felt quite deflated. And then I watched the movie and felt deflated all over again. It reminded me, with its contrived plot and use of the same horror tropes, of 1960’s “House of Usher,” adapted from a Poe story the year before. As it was made by the same team of screenwriter Matheson and director Corman, perhaps it’s no great surprise that they didn’t stray far from what had already worked for them. Stranger coming to the mansion door? Check. Vincent Price as the unhinged lord of the manor? Check. A house with a curse on it? Check. A dead or dying sister? Check. A premature burial? Check. Secret passages and haunted happenings? Check. The lord undone by the horrors/curse of the house and/or his past? Check. In this case, Francis Barnard comes to investigate the death of his sister, Elizabeth, who was married to Nicholas Medina (Vincent Price, doing his corniest best to look beleaguered, distraught, and finally stark raving mad). Doctor Charles Leon tells Barnard that she died of shock when she saw the torture chamber concealed in the vaults of the house, but Barnard believes Nicholas was the cause, even when the lord tells him how distraught he is himself over his beloved’s death. Leon takes him into confidence and says that the chamber belonged to Nicholas’ father, Sebastian, who was the most notorious torturer of the Spanish Inquisition. As a young boy, Nicholas witnessed Sebastian torture and kill his wife and brother, who were having an affair, and that has left him damaged. Nicholas’ sister, Catherine, though, says Sebastian tortured his wife but didn’t kill her. Instead, he buried her, alive, behind a brick wall, and now Nicholas is haunted by the belief that he buried Elizabeth prematurely. 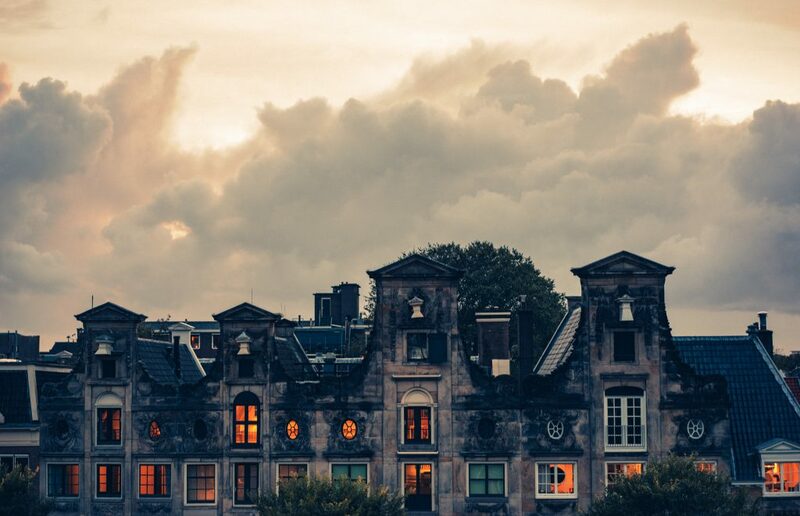 All parties go to exhume the body to be certain she was dead, descending into the castle’s crypts which look suspiciously like the crypts in “Usher,” right down to the metal doors, cobbled flooring, nametags, and rather obvious fake spiderwebs. When they open the coffin, Elizabeth’s now-dead body is clenched in a horrifying scream. The shock sends Nicholas over the edge. He begins to “hear” Elizabeth calling out to him and says he will accept any vengeance she has planned for him. Scouring the hallways and secret passages for her, he ends up in the torture chamber, which we now see includes a large stone pit. When Elizabeth makes her entrance into the chamber, “bloodied” from her experience, Nicholas falls down the stairs, completely knocked out. Leon then enters, sweeping up Elizabeth in a passionate kiss – it seems they were having an affair and her “death” was contrived to get rid of Nicholas. Nicholas wakes up, but he has gone totally mad, now thinking he is Sebastian and Elizabeth and Leon are Isabella and Bartolome, Sebastian’s wife and brother. He imprisons Elizabeth in an iron box and struggles with Leon, who falls dead into the pit. 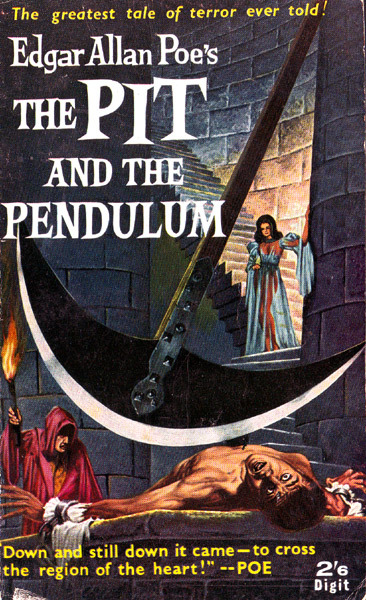 When Barnard appears, “Sebastian” somehow thinks he is now Bartolome, and he puts the young man under the swinging pendulum. Just as the blade is about to slice through him, Catherine races in with a servant to rescue him. Nicholas and the servant fight, with both falling into the pit to their deaths. Catherine orders the chamber sealed, leaving Elizabeth imprisoned for eternity. Aside from the titular objects, everything was a deviation from the original story, and you’re more likely to come away laughing at the contrivances than feeling horrified. The poster for the film. 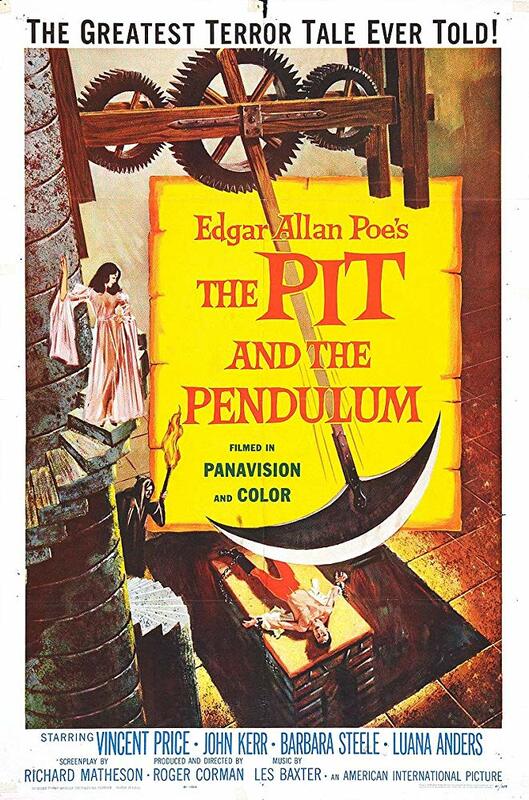 So, how did “The Pit and the Pendulum” as a movie fare as a short story adaptation overall? As I said, not even close. The acting was comical, at best, wooden, at worst, and the production values were more typical of Corman’s legendary B movies than in “Usher.” I would give it a D+ on one of my more generous days.